Since moving to Australia I have been considering myself very lucky to work only a short distance from home enabling me to cycle to work each day. I often cycle home for lunch each day too. Having spent at least two hours commuting EACH day in London. This is a big plus for me and I love it. Or at least, I did, until magpie season started. Imagine my Monday morning state of mind when at about 8.30am I was cycling along the esplanade with the beach on my left and the calm morning waves lazily lapping the shore. It was pretty good as Monday mornings go. Then I peeled off through a car park under several tall pine trees. Out of nowhere something hit me on the head. With the sun behind me I could make out the shadow of a worryingly large bird hovering just above my head. 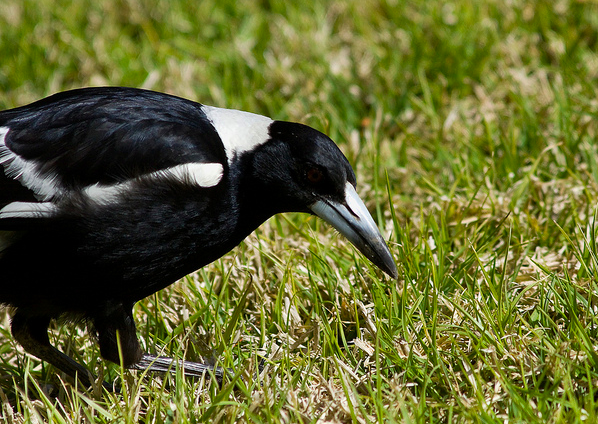 There were flaps and black and white feathers flapping in front of my face. It hovered menacingly and looked as if it was waiting to rip my head off. I pedalled a bit faster. Then there was another strike and another and another. I was being attacked - by a bird! What the…? When the bird finally noticed that I was on my way (by now almost hunchbacked in form for fear of nasty neck and shoulder pecks) it left me and I laughed to myself. It must have looked pretty funny my ambush. There is nothing funnier than watching a bird or an animal having a go at a human is there after all? Thank god I was wearing a cycling helmet though - no wonder it is a requirement of cyclists in Australia! There is a serious side though. Of course it is a frightening, suddenly having a large pointy-beaked bird swooping at you repeatedly and aiming for your eyes. 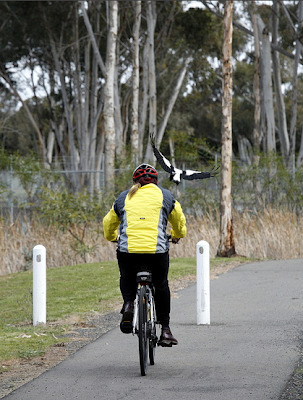 If you are cycling at the time there are added dangers. So I can understand why people are cautious. On the television this morning though there was a feature debating whether the birds ought to be shot, since they pose a danger to the community. I was amazed. Should the overly protective mothers of newborns be shot too, whenever they get snappy? I cannot understand how shooting the birds (and leaving the baby birds to die) is believed to be a solution, especially in Australia where you can land yourself in hot water if you pick a wildflower in a National Park. I was attacked a few days ago and it caused no further upset that a nerve-steadying rum couldn't fix. I certainly don’t believe the bird that attacked me should be shot. I will simply use a different route for a few weeks. Or just head through the car park when I feel the need for a quick thrill. 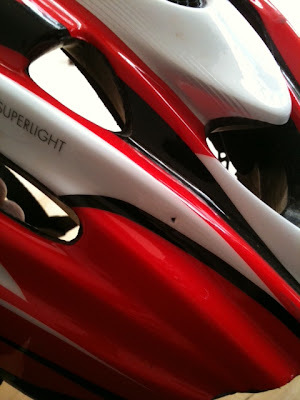 If he does it again though (I have read that it is mostly the male birds) I’ll be asking for a new cycling helmet.